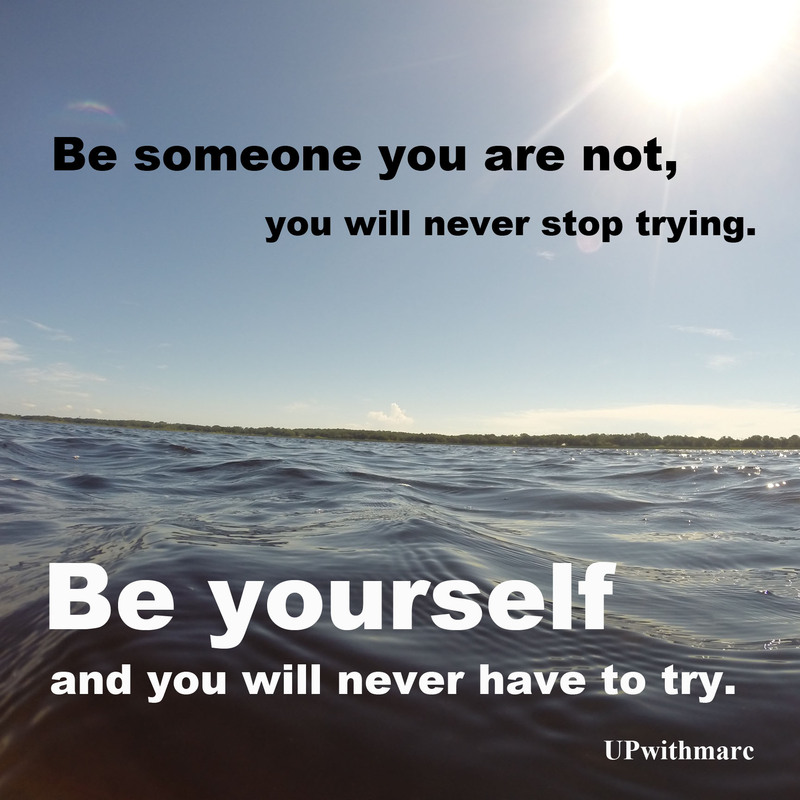 Sometimes being yourself does not seem easy but it is way easier in the long run. Be sure to follow me here and like my Facebook for more things positive! Posted on October 20, 2014, in Meme, Quotes and tagged be yourself, believe, CHALLENGE, changes., Desire, determination, dreams, faith, family, friends, Friendship, future, Goals, gratitude, happiness, happy, hope, Inspiration, Journey, life, love, meme, Meme Monday, motivation, positive, positivism, Relationship, simplify, smile, success, trust, try, upwithmarc. Bookmark the permalink. 2 Comments. I really like this one. Such a strong statement. 18,535 People want to be Ultra Positive like you!